Alesis has cemented itself as a leading innovator of electronic percussion, keyboards, monitors, recording gear, amplifiers, as well as professional products based on Bluetooth technology and Apple’s iOS platform. Founded on the belief that absolutely everyone should have the chance at playing music, Alesis began their musical journey in the 1980’s. Providing high-quality equipment and products at affordable prices was Alesis’ forte, working how to cater to both experienced and inexperienced musicians was to become their legacy. Hiring the finest of musical engineers gave Alesis the tools to innovate, creating audio interfaces, synthesizers and keyboard equipment. The backbone of their brand being the famous electronic drum kits with almost identical acoustic sounds through the use of studio software. Following a string of highly successful products (Alesis XT digital reverb, Midiverb and Midifex processors), Alesis continued to grow, hiring expert engineers along the way that propelled their status from budding innovators to immortal household names if you were part of the industry. In 2001 Alesis was acquired by Jack O’Donnell who coincidently also owned big DJ equipment retailer Numark, meaning all of the combined experience of the Numark and Alesis engineers were now working under the same umbrella. From here Alesis went on to create more innovative, modern products that we all know and love. Alesis have a strong reputation of supplying high quality music equipment such as midi controllers and electric drum kits. Alesis electronic drum machines are cutting-edge pieces of kit that emulate the sounds of acoustic drum kits; the beauty of these kits is that there’s no limit to what types of sounds you can’t emulate and create. The beauty of most of Alesis’ electronic drum kits is that they’re highly affordable, want a cutting-edge drum set on a budget? The Alesis DM Lite Electronic Drum Kit welcomes newcomers with its impressive selection of choice, performance and flexibility at an affordable price. Moving up slightly you have the Alesis Nitro Electronic Drum Kit, featuring a built-in sequencer and metronome, internally saved songs to practice along to and USB/MIDI ports to export your songs to recording software. Going higher in the price you have the Alesis Forge Electronic Drum Kit and Crimson Mesh Kit 8pc Electronic Drum Kit, these feature uncompressed, sample based audio along with Alesis’ signature drum pads ensuring all your sounds emulate that of an acoustic drum kit. Real time recording, allowing you to record up to 99 tracks, woven mesh heads that improve feel and response when playing, and the ability to load .mp3 or .wav files so you can jam along to your favourite tunes. Continuing towards the high-end products you have the Alesis Command 8-Piece Electronic Drum-Kit which features the usual USB/MIDI ports for recording, saving 100+ tracks of your own creations, metronome and sequencer etc. This professional piece of kit comes with the Command Advanced Drum Module which allows 70 different types of drum kit sound emulations, with a total of over 600 sounds to choose from. This kit has everything you need up to practising in your home, all the way up to gigging or professional recording. At the top of the crop we have the new Alesis Strike Zone Electronic Drum Kit and Strike Zone Pro Electronic Drum Kit. Offering complete control, incredible sustain and a vibrant tone, these kits are the best of the best offering the very best technology Alesis can offer. The Alesis Strike Zone kits come with a drum module with a 4.3-inch LCD screen and 100 different drum kit sounds to choose from with 1600 total sound effects. An 8GB SD card provides a large amount of space for recording your own sounds, as well as having ports for your own storage, giving you virtually an unlimited amount of storage options. Hardware includes a 14" Kick drum, 14" snare pad, 8",10",12" tom pads, 16" triple-zone ride cymbal, 14” crash cymbal and a 12"moveable hi-hat. If you’re after the pinnacle of Alesis electronic drum kits, this is the series for you. Alesis feature a variety of modern MIDI controllers and keyboards from 25 all the way up to 61 keys, meaning there is something for all skill of musicians. Alesis MIDI controllers are extremely intuitive and simple to use, featuring sliders, buttons, keys, knobs, faders and pads, it’s effortless to quickly jump into creating music. 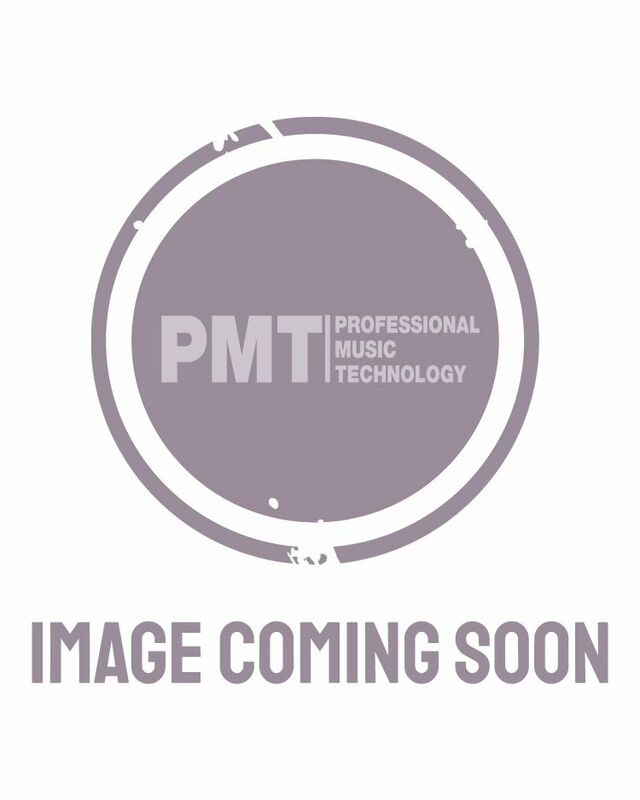 PMT have in stock the Alesis V25 USB MIDI Keyboard Pad Controller and Alesis V61 USB Pad Keyboard Controller from the popular V-series, moving up to the VI series we have the Alesis VI25 USB MIDI Pad Keyboard Controller, Alesis VI49 USB MIDI Pad Keyboard Controller and Alesis VI61 USB MIDI Keyboard Controller. Recently announced was the Alesis VX49 Keyboard Controller featuring a lush 4.3-inch LCD screen, tonnes of controls for you to forge your own creative sounds, built-in arpeggiator, metronome, sequencer and tonnes more!